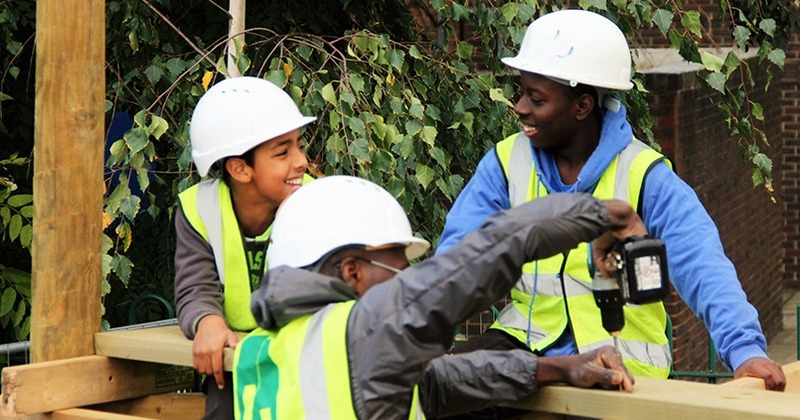 Build Up Hackney is offering two PAID roles for young adults aged 18 – 23 who want to help local young people design and build a new community space at Flanders Way, Hackney. The placements have been made possible with support from Wick Award. Working with Build Up’s team to design and build a new public space at Flanders Way. If anyone has queries about the roles, they should contact Huan: huan@buildup.org.uk or 07427 704291. Last month the Mayor of London announced 26 community-led campaigns the city will be backing as part of the annual Crowdfund London program. 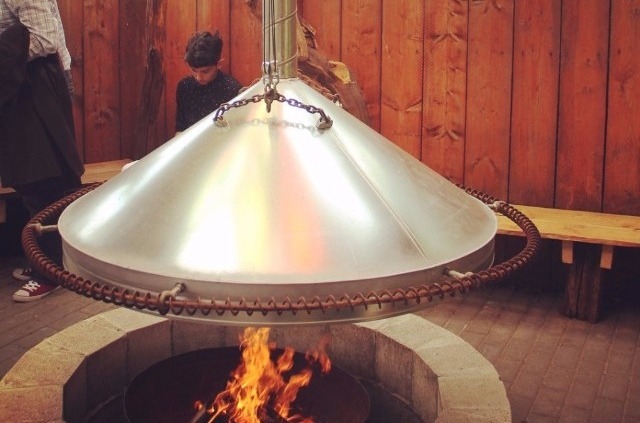 This year’s winners included our Build Up Hackney project, which was awarded £30,000. Build Up will work with youth organisation Hackney Quest to put local young people in control of a new public space at Flanders Way. We want to make sure young people in Hackney can take control of the changes happening in their local area. In September 2018, the Aldriche Way community, along with Build Up, sponsors and local councillors celebrated the opening of The Shade, a new community space that was designed and built by the young people that live there. Over 60 local young people were involved in the project and their main objective was to create a space that the whole community could use and enjoy together. They designed and built a new garden, table tennis, stage, seating and BBQ area. 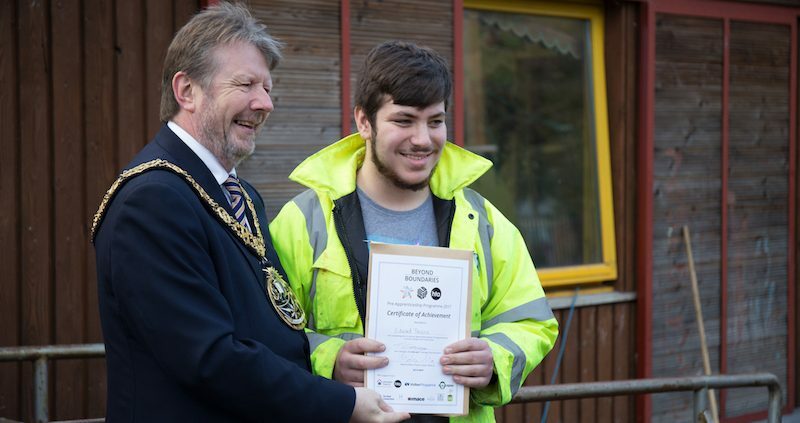 The project was part of London Borough of Waltham Forest’s Making Places initiative and was generously supported by the Worshipful Company of Builders’ Merchants, Lawsons Timber, Building & Fencing Supplies and Makita Power Tools. This support has made possible Build Up’s biggest and most ambitious project to date. 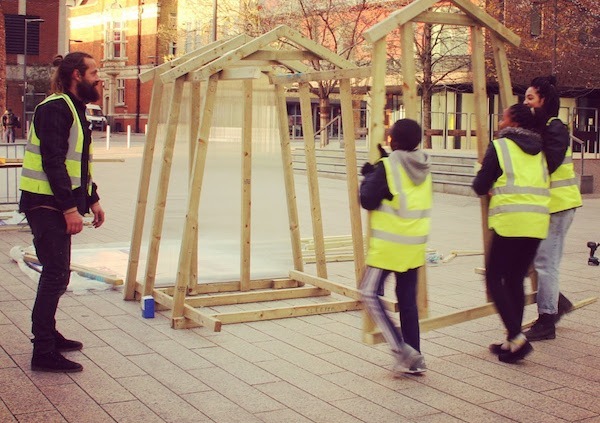 On the 25th November Build Up constructed a Greenhouse for Barking’s Gascoigne Primary School at the Festival of Everyone with Participatory City. Thank you to all the local residents who got involved and helped us get complete it in just one day!